Why a BMW Certified Collision Repair Center? BMW is the Ultimate Driving Machine.® And you deserve to enjoy that experience every moment you spend behind the wheel – even after a major collision. As a courtesy to all BMW drivers on the road today, we offer complimentary access to our nationwide network of BMW Certified Collision Repair Centers. 120-hour technician training. Repair procedures tested by BMW engineers. Original BMW Parts. Certified results. For restoring your BMW to original vehicle specifications of performance, beauty and safety, BMW Certified Collision Repair Centers have no equal. If you’re leasing your BMW and need a body shop, you are already aware that it must be repaired using original BMW parts, and following specific BMW repair procedures. If you’d like an estimate, feel free to schedule an appointment with one of our customer service representatives, or inquire with your BMW service advisor. 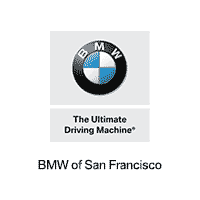 BMW of San Francisco is available to receive your vehicle in need of body work, or visit our Collision Center here: German Motors Collision Center.